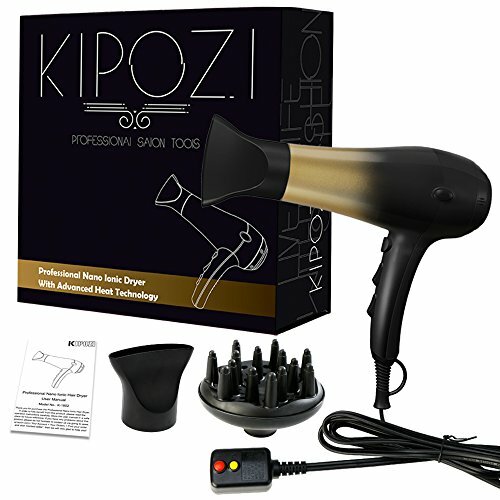 Save precious time in the morning or evening by choosing KIPOZI 1875W Hair Dryer with 2 speeds + 3 heat settings and cool shot button locks style in place. 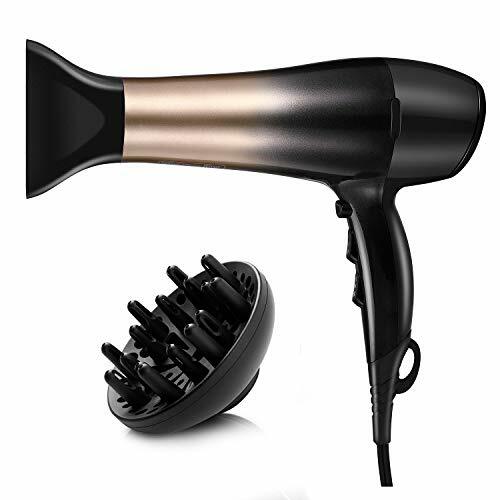 The Advanced Nano Ionic technology along with a consistent strong airflow that comes from the professional 1875w motor will leave your hair silky smooth, with no dampness. 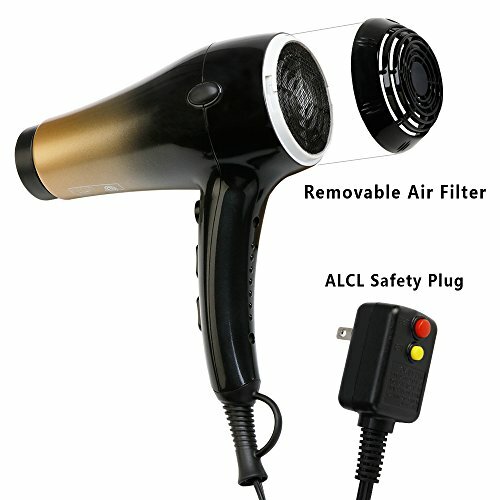 Additional features: 8 foot long cord, ALCI safety plug and a removable air filter, along with a money back guarantee and it is ETL certified. The gift box contains a concentrator & diffuser. 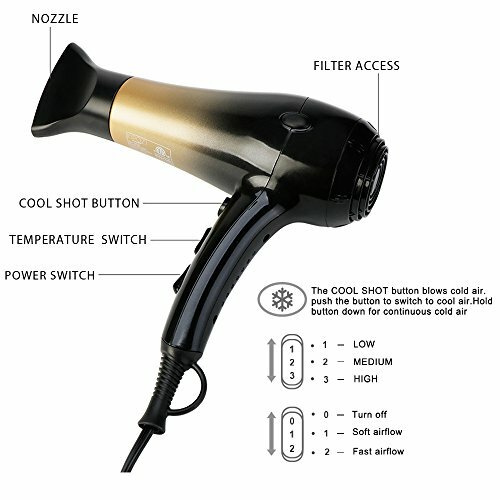 The concentrator is ideal for precision styling that is straight, the diffuser focuses airflow to help define the hair's natural curls and waves. Trust us: Quality makes all the difference when it comes to speed, durability, and great hair. 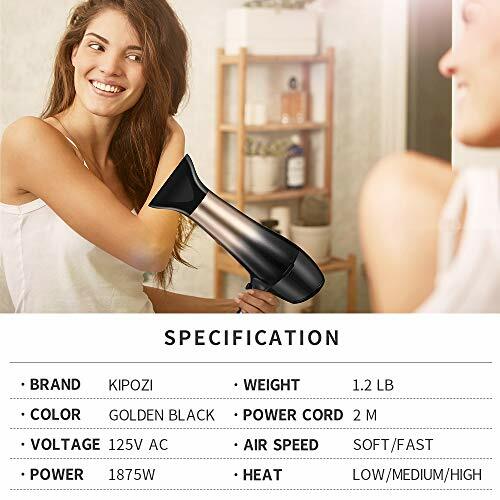 The dryer, which features the brand's Advanced Nano Ionic technology, has a handle fit to rest comfortably in your paws, three heat settings, and two speed settings. Its ergonomic handle allows for comfortable use and it is lightweight with low noise. 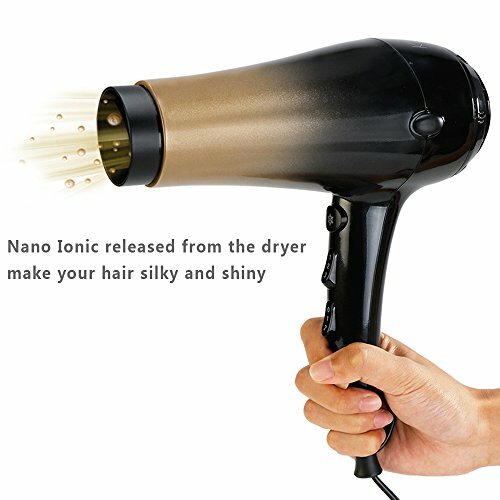 Whether you have fine, curly, or super thick hair, this is one of the best hair dryers. 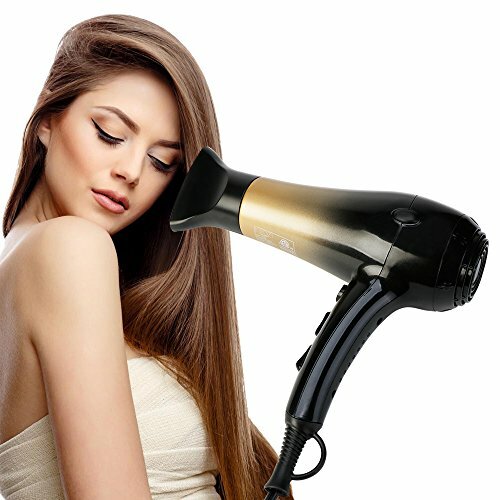 You deserve a blowout without frizz, flyaways, or any other kind of foolishness a blow-dryer that's not up to snuff will add to your precious crown. And you deserve to get that flawless look in the comfort of your own home.